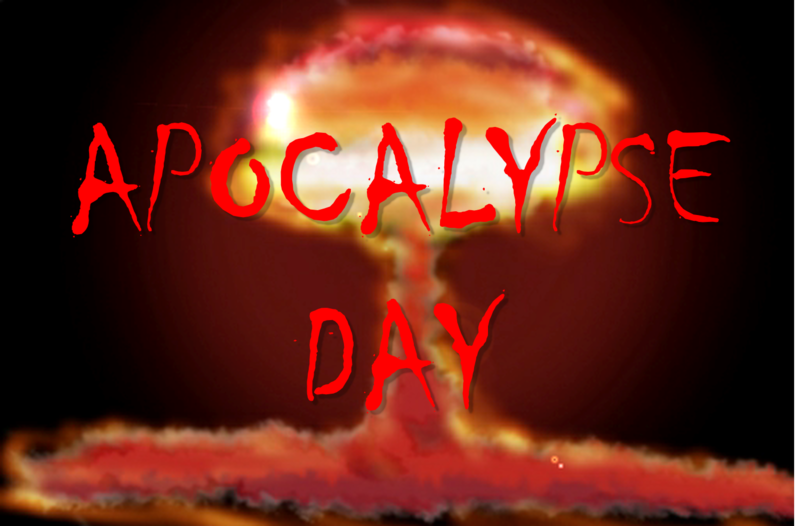 If I cast my mind back, my first foray into apocalyptic fiction was when I was in my last year of Primary School. I borrowed a book from the library which was a post-apocalyptic paper and dice, RPG book, very similar to the wonderful Fighting Fantasy series. What it was doing in a Primary School library, I do not know. I remember taking it off the shelf and staring at, what I thought, was a very cool cover. It depicted a long desert road, and a man who looked like he had been raiding Mad Max's wardrobe, (Perhaps that’s why Max is a bit cross) and holding a shotgun. I cannot recall what the book was called, I think it was Highway something, something, and I never did get to finish it as I mislaid the key to my locker and the book was trapped inside. Perhaps it never got out, who knows. I remember spending hours rolling to find petrol and other items and getting ambushed by marauders, with only one shell in the shotgun. It was your classic post-apocalyptic set up through and through* and very enjoyable. Post-apocalyptic fiction follows certain tropes, this is not to say that because of this it is a staid stagnant genre, there are some fantastic and unique takes for example the recent novel Defender by Gemma Todd, which although uses the right beats to identify it as Post-Apoc fiction, the event that triggered destruction involves people hearing voices. A detail of Post-Apocalyptic fiction that I always find humbling, is the level of scarcity, the emptiness. Where once there was life there is the palpable sense of nothing. Lack of food, lack of water and the addition of many perils that are lurking in the wasteland. Yeah, you could eat that carrion, but it could be your last meal. The search for life, the struggle to survive, and insurmountable odds stacked against you in a world that has become but a decayed a drying husk. 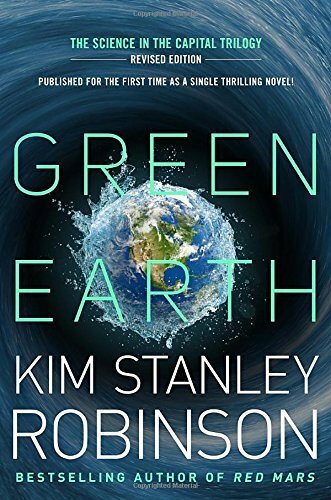 Another key feature to PA fiction is the catastrophic event that throws the world into chaos. Zombies, Nuclear War, global pandemic, global warming etc are some examples. 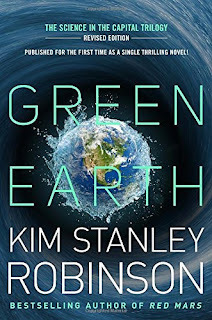 Kim Stanley Robinson’s Science In The Capital trilogy focuses on the effects of global warming in the early decades of the 21st century, and The Sea and Summer by George Turner is another that focuses on the effects of climate change in 2041. With this event in general it takes on a much different series of events, in the respect that it is slow and gradual degradation, as we are now witnessing for ourselves. Which is a truly original take and adding in a wild west-esque element made for a highly recommended read, as is the short lived but wonderful television series In The Flesh, which depicted the zombies more human than monster struggling to re-obtain their status as human beings. Of course, the market is saturated with all sorts of zombie-mash ups. Pride & Prejudice, and A Christmas Carol are two examples of how the zombies even have their jaws firmly munching away at classic literature. And films like Shaun of The Dead, and Night of The Living Deb are examples of zombies trying their hand at comedy with varying success, although that being said, I'm still not convinced about the whole zom-rom-com thing, i.e Warm Bodies. As for viral works of Post-Apocalyptic fiction, The Stand by Stephen King stands out as a superlative piece of work. Focusing on a global pandemic super-flu known as Captain Trips, with a 99.4% fatality rate. And the beautifully written Station Eleven by Emily St. John Mandel, which won the Arthur C. Clarke award. Quite possibly one of my favorite books ever written. Arguably, post-apocalyptic-fiction that focuses on disease, have extremely close ties to the zombie phenomenon. An example of this is the 1954 novel I Am Legend written by Richard Matheson, which was a key influence to Night of The Living Dead. The Mad Max movies are what comes to mind when we think about Post-apocalyptic fiction in general. Its influence is incredibly vast, fellow Cornishman and wonderful writer, Alec Mcquay cites Mad Max et al as a major influence for his Cornish Post-Apoc novel, Emily Nation. It would be fair to say that in the majority of post-apocalyptic fiction, there is clear parallels to Mad Max. And with the latest installment of the Mad Max franchise, Fury Road, is a brilliant example of a post-apocalyptic movie that is not only brilliantly written and directed but shows the huge potential that the post-apoc-fic stories have in every medium. The impact that Fury Road made on the genre is immense, and having only seen it recently, It is a stunning piece of work. That's not to say that there are not other works in mediums that are also fantastic examples of the genre. Some that I have not mentioned I.e video games have a big impact on the genre but not really being a gamer, i'am unfamiliar with what is out there and what is considered a fantastic game set in a post-apocalyptic world. What interests me most about the genre, as well as its widened reach across SciFi, Horror, Fantasy etc. Is how it is a warning of sorts, a vision of a terrifying future where survival is paramount, and the prognostications of what comes next or even after? What happens if it all goes away tomorrow, how will we survive, and what lengths will we go to, to do that in barren landscapes on this world or another. With most post-apocalyptic fiction there is the search for a sense of normality, and of a semblance of order, and in that, there is a lament for the world and society as it once was, but a whole plethora of old and new mistakes to be made. The examples I have listed** are only the beginning of how rich a genre post-apoc fic is. Whether it is comics such as 2000AD, Tank Girl or novels and movies like The Road by Cormac Mcarthy. Post-apoc fiction is a fantastic and rich genre and shows that nothing truly ends. * Lo and behold I found it. With a bit of Googling and a massive amount of luck. 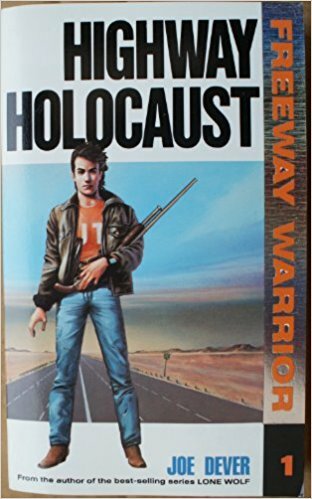 The book was the first in the Freeway Warrior game-book series by Joe Dever and is called Highway Holocaust. Again, what the hell it was doing in a primary school library, I have no idea. ** Even though I haven't given it a proper mention we all know that Adventure Time is the greatest example of post-apoc fiction of them all.